A recent report from the FDA highlights the decision to recall numerous medications with the active ingredient, Valsartan, after detecting impurities. Valsartan is part of various medications to control high levels of blood pressure and other cardiovascular issues. The company is recalling medication with Valsartan because it could cause cancer. According to the FDA, the decision to recall the medicines is due to the presence of NDMA or N-nitrosodimethylamine in the variants. NDMA is an impurity and carcinogen, which dangerous for humans. NDMA, an organic compound, is part of the manufacturing process for various products. These items include liquid rocket fuel and lubricants. NDMA stems from a family of powerful carcinogens. However, companies can produce NDMA through unrelated manufacturing processes. Specific chemical reactions in the right conditions can ensure this. Moreover, NDMA is a byproduct of pesticide production, and the manufacture of rubber tires. Numerous animal trial studies show that exposure to the organic compound can lead to tumors in the respiratory tract, liver, and kidney. The FDA recalled Valsartan medication from pharmaceutical companies such as Major Pharmaceuticals, Teva Pharmaceuticals Industries, Solco Healthcare and many others. They elaborated that they are recalling only Valsartan from these pharmaceutical suppliers. Hence, the recall does not cover all variants of the heart medication. According to the director of the Center of Drug Evaluation and Research in the FDA, Janet Woodcock M.D., many different Valsartan-based drugs available in the United States underwent examination and evaluation. However, only specific companies were producing variants that didn’t meet FDA safety regulations. For this purpose, the FDA is recalling these drugs. In addition, the companies now have to take effective measures to keep users safe. In an official statement, the FDA stated that presence of the carcinogen, NDMA, is unexpected. However, since it is not present in all Valsartan-based drugs, the defect is most likely a result of inadequate substance manufacturing practices. Researchers at the FDA are currently hard at work to study the amounts of NDMA that are present in different strains of Valsartan further. Researchers are also looking into the possible Valsartan side effects patients can face by taking the medicines for long periods. The issue at hand concerns patients suffering from heart disease, who have been taking medications for years at a time. As a countermeasure, the FDA is working on determining whether there are safe practices that companies can apply. These practices can help decrease and hopefully eliminate the occurrence of NDMA in future production. 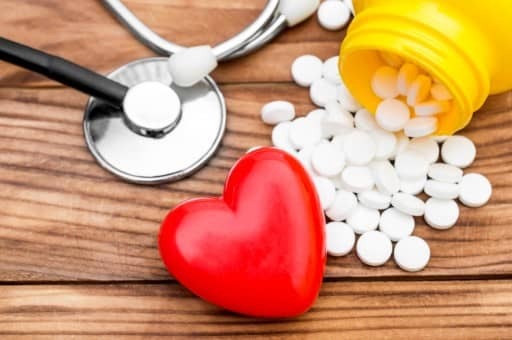 Experts are raising awareness among heart patients to check whether their Valsartan medication comes from one of the pharmaceutical corporations on the list. In the case that it is, it is crucial that patients discuss the use of a replacement drug with their doctor. Until they find a suitable replacement, the FDA urges patients to continue taking their medication as per prescription. Abstaining from taking medicine can lead to serious heart complications and disorders. If you believe that you are developing cancer-related symptoms or any other Valsartan side effects, please consult a physician and contact our firm immediately for legal guidance.